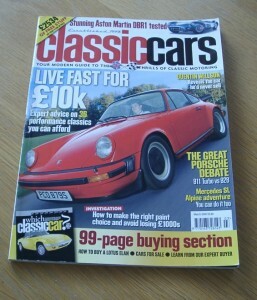 March 2005 of the British Magazine, Classic Cars. The cover feature of this issue is “Live fast for 10k”. 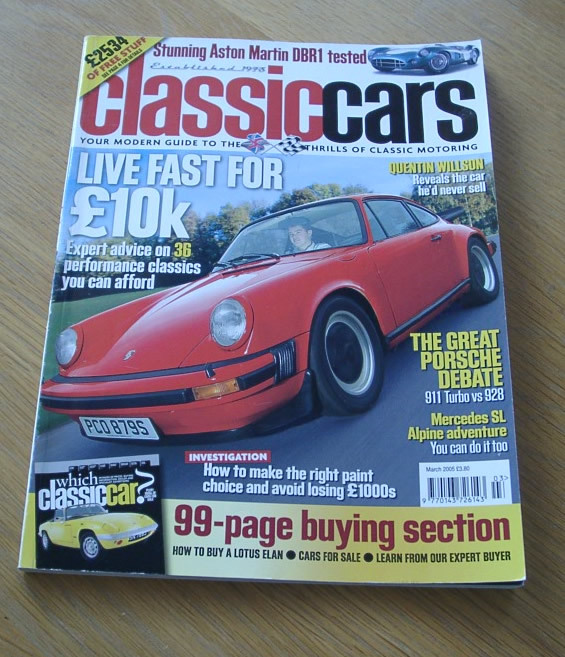 Other articles include items on Mercedes 190SL, Porsche 928 and 911, Aston Martin DBR1, Choosing the right colour for your classic car and many more.